The Comfortline Terrace heater is a sleek, modern and elegantly designed radiant heater with no glare for domestic and commercial applications. 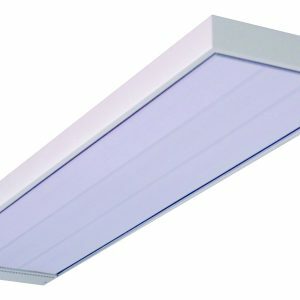 Because these heaters have a significantly lower surface temperature than halogen heaters, they do not radiate unwanted light when in operation. The surface of these panels matt black in colour and the panels are equipped with a two-metre connection cable with a plug. The panels also come with tiltable mounting brackets for wall mounting at an angle. The minimum height at which such panels can be installed is 1.8m above the floor (the lower edge of the panel); for panels installed on the ceiling there must be a min. gap of 30cm between the ceiling and the upper edge of the panel. ** Please note suitable applications include only those where the panels are protected against driving rain. 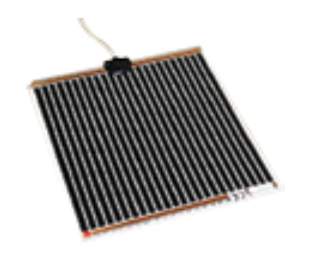 Slimline panels are an efficient and effective radiant heating panel designed for ceiling mounting. The panels can be used in many applications. With a high IP rating, CL750IN is suitable for outdoor applications. 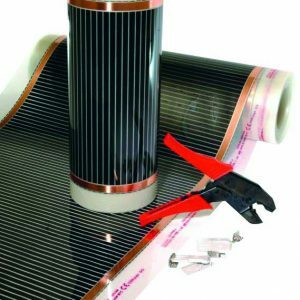 Slimline panels owe their superior heat emission to inner and outer surface treatments. The treatment on the inner side is called ‘thermoquartz’. This material assures the highest absorption of heat. On the outer side is a layer of ‘thermocrystal’, which ensures the highest efficiency emission. 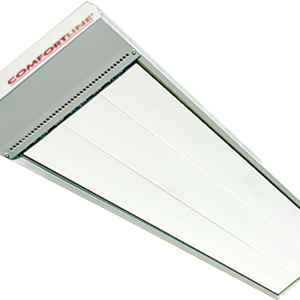 The European-made Comfortline Excel is a new and improved version of the Comfortline Original series setting an further refined standard for the quality and workmanship behind these high temperature overhead heating panels. The Comfortline Excel model takes into account the results of overseas analysis and recommendations from sources such as the Thales laboratory in Australia. This new series of panels is tried, tested and true reflecting over two decades of manufacturing and design expertise and experience. 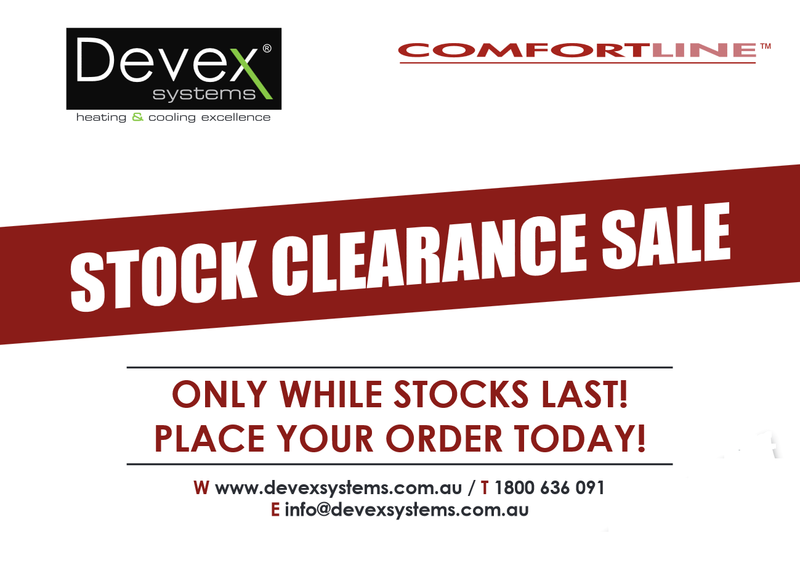 This product comes complete with a 5 year warranty! Comfortline panels are designed specifically for outdoor and indoor hard-to-heat areas. They emit up to 10% more usable heat than similar panels on the market and have a very high heat emission thanks to a unique surface ‘silicating’ treatment that increases the actual surface area.This treatment ensures the highest possible level of heat emission from the surface of each panel. These panels have a high level of insulation that increases efficiency and helps eliminate vibrations. They are packed with mineral wool insulation that reduces heat losses upwards and makes them more efficient to run. The radiant surface of the panels are designed in sections of naturally anodised aluminium, reinforced by a steel section to provide good mechanical strength. The panels have a modern design with a white powder-coated steel plate case. These panels come complete with a 2 year warranty. 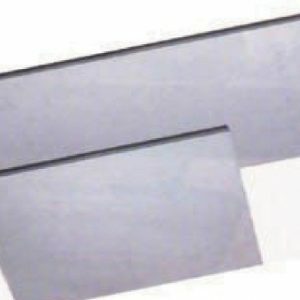 Comfortline ceiling foils come in standard widths and can be cut to length on site to suit each particular ceiling application. Prices are per metre of foil. The foils are terminated on site and can be connected in series using connectors and connector covers. The maximum current of any one length should not exceed 10 Amps. NOTE: 1.5mm2 Cold-Tail cabling is required but not included unless ordered separately. Comfortline Mirror Foils eliminate the age old problem of foggy, steamy mirrors. No more wiping, no more streaks. They are quick and easy to install, with a self adhesive backing can be connected via the power/light/fan switch. Running costs are low – comparable to a light globe. Available in three handy sizes, they can be adjusted to suite various shapes.Comfortline Mirror Foil are maintenance free, they are manufactured using safe, rugged double insulated heating cable. Can be wired to a RCD protected power point with added switch or RCD protected light circuit with or without extra switch.